The Welsumer is a Dutch breed, named after the small town of Welsum where it first originated as a landrace of chickens that had long been selected for the production of large, very dark brown eggs. Nobody really cared much what these birds looked like, as long as they laid those wonderful eggs; and they were very variable in appearance, until at the beginning of the 20th century a Dutch poultry breeder took an interest in them and decided to refine them into a standardized breed. In 1919 the standard for the new "Welsumer" breed was officially recognized in the Netherlands, and the breed was introduced to an international audience for the first time at the 1921 World Poultry Congress in Den Haag. 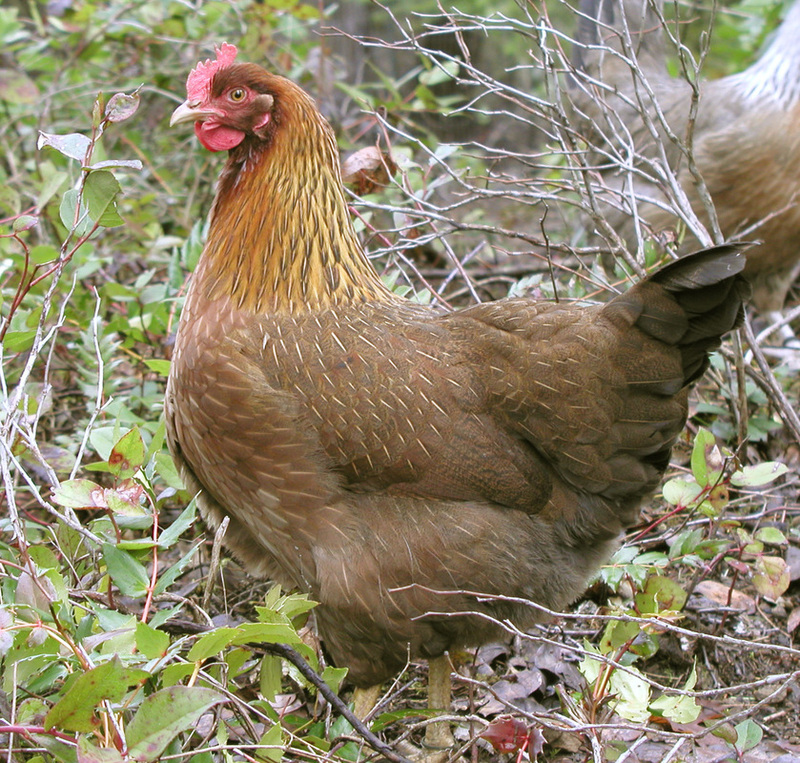 The Welsumer is a dual-purpose chicken, suitable for the production of both eggs and meat. Roosters weigh up to 3.5kg. They are hardy and active and good foragers on free range. Hens can lay up to 160 eggs in their first year. They do go broody at times, though not nearly as reliably as our Dorkings. The Welsumer's trademark is of course the lovely dark brown egg - like a wet terracotta flower pot - but they are also very attractive in appearance and a colourful addition to any flock.